Word of author's Brian Doyle's death circulated this weekend. I and my family love Brian Doyle. When I announced his death to my family all of us mourned. His writing impacted every one of us from the way I include stories in my sermons, to great words he had for my lovely bride he signed in Grace Notes, to the stories I tell my kids at night (all rules are off), even to the way I talk to my dog (as a more cognizant animal). Doyle wrote this poem for the memory of Henri Nouwen, I offer it for Doyle as well. And what we miss most. So the last part of June and first part July the American Baptist Churches, USA will hold their biennial meeting. This is a meeting of lots of American Baptists (clergy, missionaries, denomination staff, seminary staff, church delegates, institution folk, & etc.) It is an enjoyable time. The last two were held in Overland Park, KS. I understand why the venue was chosen but it felt like a fun desert to me. You couldn't walk anywhere, poor bus service, and no bike share programs to be found. This year, however, the meeting is in Portland! Several months ago I began dreaming of a way to get clergy on bikes. I thought what if we broke a record: most clergy on bikes. I started researching and guess what: there are no clergy and bikes records! So I filled out an application, paid my $5 Value Added Tax, and submitted my plans to the Guinness Book of World Records for a new record. They said it would take several weeks, I haven't heard back yet; it has been several weeks. But I am still hopeful. Even if Guinness doesn't get back to me there are several other record books I have applied, they have accepted my record. Next came logistics: how am I going to get at least 250 bikes for clergy? I asked some friends at NiceRide (Minneapolis/St. Paul's amazing bikeshare program) if they had any ideas. Boy (and Girl) did they. They put in contact with the person who is in charge of the bikeshare program in Portland: Biketown. I got in touch with Biketown and sure enough they were game! So the word started to spread and clergy began to get excited, but then a funny thing happened: non-clergy wanted to participate as well. So the invitation was expanded to include both clergy and non-clergy. 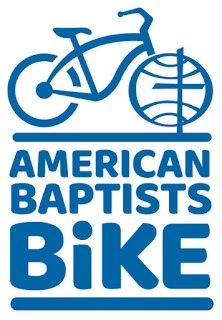 So the record will be most clergy and most Baptists (religious group) riding bikes. It just so happens the stars were aligned for this event to take place: either other mainline denominations are not meeting this year or if they are they are meeting they are not meeting in a city that has a strong bike sharing program or if they are meeting in a city with a strong bike share program they do not have enough time to organize such an event (thus, why I have been so coy about this project). But here is the fun part: I want this record to be broken. I want the Lutherans or the Methodist to smash our record. I want clergy and non-clergy riding bikes, getting healthy, exploring their communities, saving the planet, seeking economic and racial justice, gaining courage and putting a smile on their face. Because the world needs courageous and joyous people right now. But the Divine help us if the Southern Baptists find out about this record setting attempt; they have enough institutional might to overcome all of my obstacles... They will crush the record, sanctify the bikes & then funk bike riding up for years to come. But who know maybe riding a bike will soften 'em up a bit. I hope you can join us for this record setting event, Friday June 30 8:30am - Portland, OR. here is the link to the actual press release, just in case you think I'm making all this up.